Monthly meetings, MNOs, FNOs, PNOs, dinners, playdates, small groups, etc. We have it all! Each month on Wednesday @ 6 pm we get together to share a meal, a good word and peaceful, spiritual, Christ-centered encouragement with each other. We have a guest speaker or speaker panel at each meeting centered around raising a family and other issues that are of interest to mothers. Sometimes it can be a medical panel, a child behavioral psychologist, a youth minister, or a gifted mother with an encouraging testimonial to share. The main purpose to help our mothers in this precious time of forming the Christian foundations in our children's lives. This time is very precious as teachable moments seem to find us in between feedings and possibly 5 minutes to take a shower. After our guest speaker, we break up into small groups to discuss the topic in heart-filled discussions with 7-10 people that you meet with every month. This small group will become a group you can learn to lean on and pray with in times of struggle. Also, your small group will bring you meals during the birth of a new baby or other life event. 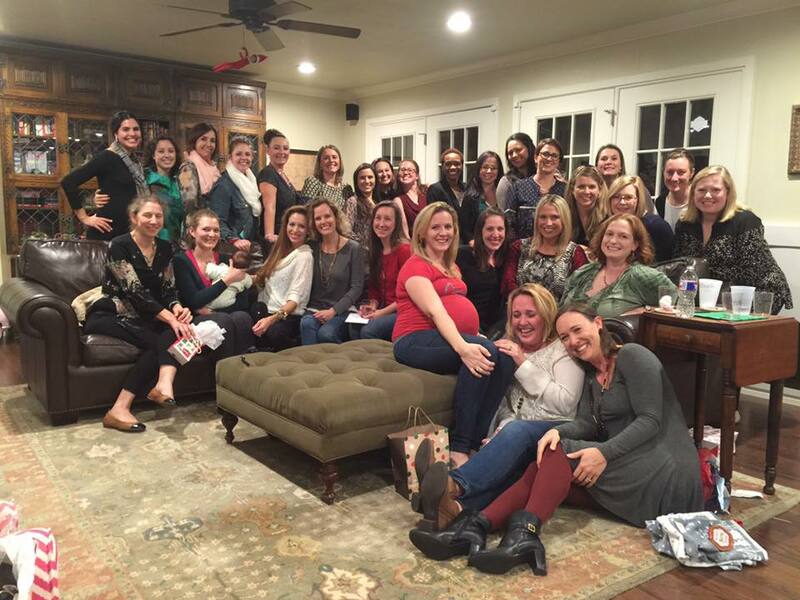 Every other month we plan a Mom's Night out event where we go to a restaurant, painting party, or other type social event at a house/business. We do an annual MNO as Christmas Party every year which is very popular. Every other month we plan a Family Night out where moms and dads can get together and socialize as well as children in a casual setting. We usually go to a family friendly restaurant with a playground where children can burn off energy. 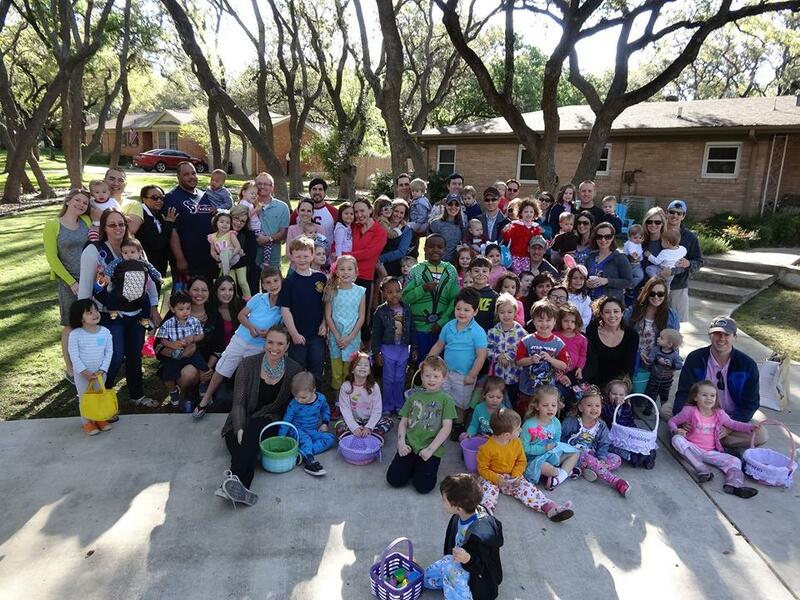 Our annual Pajama Easter Egg Hunt complete with breakfast is very popular. Each small group plans individual playdates with their group or they may partner with another group. 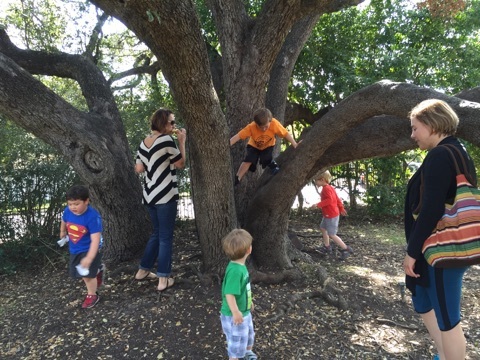 Also, we periodically have MOPS wide playdates where moms (dads are welcome too!) go to a park or museum to enjoy an event together. Some popular locations have been the Landa Library and Witte Museum.